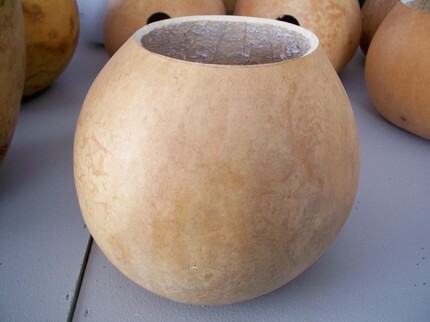 This small 5" – 6" diameter gourd makes a perfect cup (matte) or trinket bowl. Aprox 3" deep sides. Cleaned out and ready to finish.